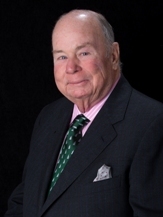 Officers & Directors - Urstadt Biddle Properties Inc.
Mr. Urstadt serves as Chairman of the Board of Directors. Mr. Urstadt has served on the Board of Directors of the Company since 1997 and as Vice Chairman from 2017 through December 2018. He is currently Chairman and President of Urstadt Property Company, Inc., a real estate investment corporation, which is not related to the Company. He joined Urstadt Property Company, Inc. in 1990. Mr. Urstadt has over 35 years of experience in the real estate business, including as Executive Director of Sales for Halstead Property LLC from 2007 to 2009, Executive Vice President of Brown Harris Stevens Inc. from 1992 to 2001 and Senior Vice President of Pearce, Urstadt, Mayer & Greer, Inc. from 1980 to 1989. Mr. Urstadt is currently Chairman of the Board of Trustees of the Ogden Museum of Southern Art in New Orleans and a Director of the Preservation Resource Center of New Orleans. Previously, he was a Chairman and Director of the Miami Design Preservation League and Chairman and member of the City of Miami Beach Planning Board. He has served as a Director of the Friends of Channel 13/WNET and member of the New York State Board for Historic Preservation. He is a licensed real estate broker in Florida and New York. 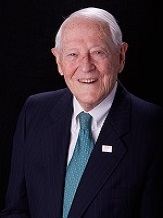 Mr. Urstadt serves as Chairman Emeritus of the Board of Directors. 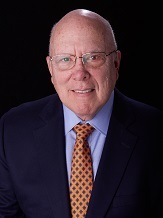 Mr. Urstadt served as Chairman of the Board from 1986 through December 2018 and Chief Executive Officer of the Company from 1989 through June 2013. He also serves as a Director of Urstadt Property Company, Inc., a real estate investment corporation unrelated to the Company. Previously, Mr. Urstadt served as a Governor of Lawrence Hospital Center from 2009 to 2014, and a Trustee of Historic Hudson Valley from 1998 to 2012. He is Retired Founding Chairman of the Battery Park City Authority, Retired Advisory Director of Putnam Trust Company, Trustee Emeritus of Pace University and Retired Trustee of TIAA-CREF. 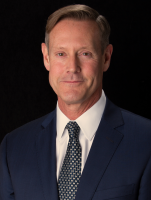 Mr. Biddle has served on the Board of Directors of the Company since 1997, as Chief Executive Officer since 2013 and as President since 1996. Previously, he served as Chief Operating Officer from 1996 to 2013, Executive Vice President during 1996, Senior Vice President, Management from 1995 to 1996, and Vice President, Retail from 1993 to 1995. Mr. Biddle previously served as an Advisory Director of the Putnam Trust Company from 2002 to 2008. Prior to joining the Company, he was an officer of a privately held commercial real estate investment company in the New York area and an officer in the Commercial Real Estate department of Chase Manhattan Bank. 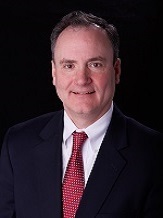 Mr. Hayes, a CPA, has served as Senior Vice President, Chief Financial Officer & Treasurer of the Company since 2008. From 2007 until his appointment as Chief Financial Officer, Mr. Hayes served as Vice President and Controller. Mr. Hayes has worked for nearly 30 years in the real estate industry, first as a public accountant and then in private industry. Prior to joining the Company, he served as Corporate Controller for a privately owned developer and operator of large scale commercial laundromats in the U.S as well as a privately owned real estate developer of retail and office properties. Previously, Mr. Hayes practiced public accounting for 10 years in New York City with PKF, a regional certified public accounting firm specializing in the service of real estate clients. Stephan Rapaglia has served as Senior Vice President, Chief Operating Officer, Real Estate Counsel & Assistant Secretary since 2014. 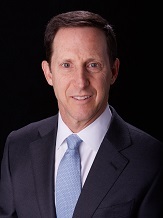 From 2012 to 2014, Mr. Rapaglia served as Senior Vice President, Real Estate Counsel and Assistant Secretary and as Vice President, Real Estate Counsel from 2008 to 2012. Prior to joining the Company, Mr. Rapaglia served in private practice for seven years, specializing in commercial real estate at major law firms. Mr. Rapaglia is a Member of the New York State Bar Association and has been designated Authorized House Counsel by the Connecticut Bar Examining Committee. Ms. Sung has served as Senior Vice President, Chief Legal Officer & Secretary since 2016. Prior to joining the Company, Ms. Sung practiced law for more than 15 years, including as in-house counsel for public companies in the technology sector and as Counsel with the law firm of Hogan Lovells LLP, representing public companies and investment banks in a broad range of corporate and securities law matters, with a particular emphasis on corporate and securities and public company governance. Ms. Sung is admitted to the New York State bar and has been designated Authorized House Counsel by the Connecticut Bar Examining Committee. Mr. Aries has served as Senior Vice President, Director of Acquisitions since 2008. From 2001 until his appointment as Senior Vice President, Director of Acquisitions, Mr. Aries served as Vice President of Leasing and Acquisitions. Mr. Aries began his career as a Director of Real Estate for The Melville Corporation, one of the largest retailers in the country. Subsequently, he held senior leasing positions with Bryant Development Corp. in Purchase, NY and Kin Properties Inc. in White Plains, NY. 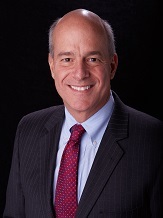 Jim is past chairman of the Planning Committee of the NY International Council of Shopping Centers and is a member of the NY State Bar Association. Ms. Lacey has served as Senior Vice President, Director of Leasing since 2007. Prior to this appointment, Ms. Lacey served as Vice President, Director of Leasing from 1998 to 2007 and Assistant Vice President from 1997 to 1998. Ms. Lacey began her real estate career at a private property management and leasing company and for more than 20 years has served in various capacities in corporate banking, asset management, property management and leasing. 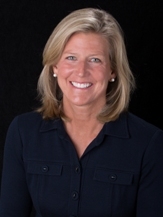 Ms. Lacey is a licensed real estate broker in Connecticut, New Jersey, New York, and Rhode Island and serves on the Connecticut ICSC Planning Committee. Mr. Albrecht has served as Vice President, Director of Management & Construction since 2015. From 2006 to 2015, Mr. Albrecht served as Assistant Vice President of Construction, and from 2002 to 2006, he served as Construction Supervisor. Mr. Albrecht oversees all aspects of work throughout the portfolio. The majority of Mr. Albrecht’s working career has been in commercial and residential construction. During his 10 years of professional experience prior to joining the Company, Mr. Albrecht served as Operations Manager for a private resort, and as Property/Asset Manager for various companies and private real estate interests, both in and outside the continental United States. Mr. Allegretti has served as Vice President of Leasing since 2016. From 2014 to 2016, Mr. Allegretti served as a Senior Leasing Representative. Previously, Mr. Allegretti served as a Senior Territory and Asset Manager for a major franchise real estate development company in the New York metro area since 2002, and was responsible for overseeing various aspects of the business, including asset management, property management, leasing, construction and store design. Prior to his real estate career, Mr. Allegretti spent more than four years in the financial services industry. 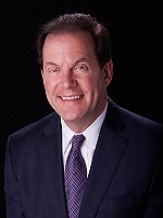 Mr. Allegretti is an active member of ICSC and served as Connecticut Retail Chair in 2013. Mr. Capuano has served as Vice President and Associate Real Estate Counsel for the Company since joining the Company in 2014. Prior to joining the Company, Mr. Capuano specialized in commercial real estate leasing and related transactional matters for more than ten years in private practice at several law firms, including Coudert Brothers LLP and Akerman LLP. He is admitted to the U.S. District Court for the Southern District of New York and the New York and Connecticut state bars. Ms. Midollo, a CPA, has served as Vice President and Controller of the Company since July 2008. From January 2008 until her appointment as Controller, Ms. Midollo served as Assistant Vice President and Assistant Controller. Ms. Midollo has worked for more than 15 years in the accounting profession, including as a public accountant with BDO Seidman, LLC in Century City, CA. Ms. Moore has served as Vice President, Director of Accounts Receivable since September 2017. Ms. Moore joined the company in 1997 and served as Assistant Vice President, Director of Accounts Receivable from 2002 to 2017. Ms. Moore works closely with the Leasing and Acquisition Departments and is responsible for the billing and collection of all rents, common area costs and real estate taxes for the Company’s portfolio. Mr. Bannon has served on the Board of Directors of the Company since 2008. From April 2008 to June 2015, Mr. Bannon was a Managing Director of Highmount Capital in New York. Between 1993 and 2007, Mr. Bannon served as Executive Vice President and Chief Investment Officer of The Bank of New York. Mr. Bannon currently serves as a Director of the PGIM Retail Mutual Funds and PGIM’s closed-end funds, as the Chairman of the Audit Committee for the PGIM Funds, as a Director of AltaOne Capital, as a Director of the Boys and Girls Club of Northern Westchester, as a Director of the Hundred Year Association of New York, and as a Director of Kensico Cemetery. Previously, Mr. Bannon served as President of BNY Hamilton Funds from 2003 to 2007, Trustee of Regis High School from 1997 to 2003, and Director of Shorewood Packaging Corporation from 1992 to 2000. Mr. Bannon holds a Chartered Financial Analyst (CFA) designation. Mrs. Biddle has served on the Board of Directors of the Company since 2013. She is Executive Vice President and Secretary of Urstadt Property Company, Inc. and Executive Vice President and Secretary of Two Park Place Corp., each a real estate investment corporation unrelated to the Company. Mrs. Biddle also serves as Director, Kensico Cemetery. 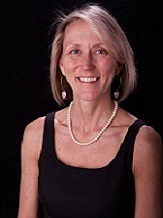 Mrs. Biddle previously served as Trustee, Historic Hudson Valley from 2012 to 2014 and as an officer in The Bank of New York’s Commercial Real Estate Finance Division from 1989 to 1993. 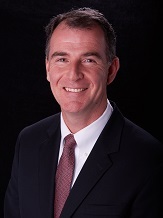 Mr. Carpenter has served on the Board of Directors of the Company since 2016. He is currently President, Investor Services & Capital Markets, Americas for Cushman & Wakefield, a commercial real estate services company. Prior to the merger of DTZ and Cushman & Wakefield in September 2015, Mr. Carpenter was President of DTZ’s America Capital Markets team. Mr. Carpenter came to join DTZ as the result of a merger with Cassidy Turley, where he was President of Capital Markets and led the Strategic Accounts initiative, and was a member of the Board and Chair of the Audit Committee. 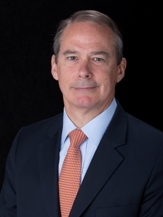 Prior to joining Cassidy Turley in 2011, Mr. Carpenter spent more than 20 years at Jones Lang LaSalle, where he was an International Director in the Capital Markets Group. While there, he held senior transactional and leadership roles and worked closely with public and private institutional investors, developers and opportunity funds. Mr. Colley has served on the Board of Directors of the Company since 2015. Mr. Colley has been a principal of a number of entities including, among others, Benchris, Inc., Bryan C. Limited Partnership and McMontebello LLC, which collectively operate numerous McDonald’s restaurants. Mr. Colley is the founder and, since 2000, Chairman of Ronald McDonald House of the Greater Hudson Valley. He has also been serving as a Director of Country Bank since 1988, where he is a member of the Examining (Audit), Executive, Risk, and Compensation Committees. Mr. Colley previously served as a Director of Tosco Funding Corporation from 1996 to 2001 and Tosco Capital Corporation from 1995 to 2001. Mr. Grellier has served on the Board of Directors of the Company since 2011. Since 2006, Mr. Grellier has been a Managing Director of Deutsche Bank Securities Inc., where he oversees capital market transactions, with a particular emphasis on REITs and real estate operating companies. He joined Bankers Trust, a predecessor to Deutsche Bank Securities Inc., in 1994. Prior to that position, Mr. Grellier was a project manager for a developer, builder and operator of hospitality- related projects in the New York Metropolitan area where he focused on waterfront development and construction. He previously served as a member of the Company’s Board of Consultants from 2002 to 2010. 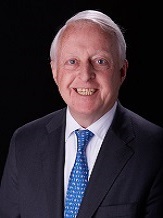 Mr. Lawrence has served on the Board of Directors of the Company since 1988. Mr. Lawrence currently serves as President and Chief Executive Officer of Lawrence Properties, Inc., a real estate management company that he has led since 1970. He previously served as President of the Westchester County Association from 1976 to 2013 and Chairman of Kensico Cemetery from 2007 to 2013. Mr. Lawrence is an Honorary Trustee of Sarah Lawrence College and Trustee Emeritus of the Fund for American Studies. Mr. Mueller has served on the Board of Directors of the Company since 2004. Mr. Mueller previously served as Senior Executive Vice President of The Bank of New York from 1991 to 2004, as Executive Vice President of The Bank of New York from 1989 to 1991, and as a member of Battery Park City Authority from 2005 to 2012. From 1992 to 1998, Mr. Mueller served as Chief Credit Policy Officer of The Bank of New York, with responsibilities as head of worldwide risk management. From 1998 to 2004, his responsibilities included the bank’s global trading operations, commercial real estate lending, regional commercial banking, community development, residential mortgage lending and equipment leasing. He was also a member of the bank’s Senior Planning Committee. 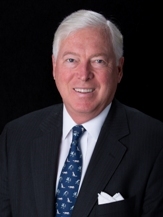 Mr. Mueller currently serves on the Boards of Emigrant Savings Bank, and Reverse Mortgage Investment Trust, Inc. He is Director Emeritus of the Borough of Manhattan Community College Fund. He is also a trustee of Brewster Academy in Wolfeboro, New Hampshire. Previously, Mr. Mueller served as a Director of Community Preservation Corp. from 1992 to 2013.